Scuba Gear, Diving Equipment, Scuba Equipment, Scuba divers, Dive gear, Ocean Divers manufacturer. 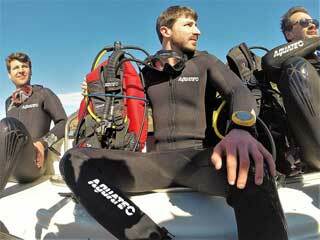 | AQUATEC - DUTON INDUSTRY CO., LTD.
Scuba diving equipment by Aquatec. The dive gears of AQUATEC create the power to help people encounter and communicate with the ocean. Aquatec is the name that introduced the world to scuba diving in 1983. We develop dive gear to scuba divers in the worldwide. Our goal was to give customers the best quality products on which they could depend year after year. To achieve that our team of professionals provide unique designs we can present proudly with our quality guarantee. we are the ocean divers supplier. The Scuba knife can save your life. You will find all the scuba hardware and accessories need to mount and stow all of your gear in a clean, efficient manner. Whatever else you might need to rig. The scuba regulator is a great invention that delivers the air from your scuba tank to you just the way you need it to breathe. Copyright © 2019 AQUATEC - DUTON INDUSTRY CO., LTD. All Rights Reserved.